Too much academic research is concentrated on corporate performance compared with a lack of research on the project side. Because of this, it is difficult for managers to give correct evaluations when assessing construction projects even if it may cause profit losses to the corporation when they make the wrong decisions. 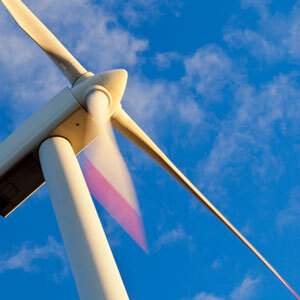 With the economy developing fast, the competition in the market of wind power stations is also getting more intense. The developers ask more from the contractors, especially in the areas of quality, safety and environment protection. Because of this, developers pay more attention to the performance evaluation in wind power station construction projects. The wind power station developers explore much of the performance evaluation and then establish their own performance evaluation system. But the systems have flaws: the evaluation standard is not clear, the choice of indicator method is not scientific, the evaluators lack experience, and so on. In this regard we need a full image of a wind power station construction project in order to evaluate the project objectively and comprehensively. This evaluation is a good way for the corporation to examine the various projects in the aspects of technology and management and its social, economic, service strengths. On the other hand, it is a good way for the corporations to understand the shortages and fortes of their corporations, which should then prompt its leaders to adjust their strategies and improve their abilities. Projects are the main source of income for a construction corporation. The project management team is the effective team of the construction corporation, therefore the construction corporation manager needs to improve its performance to enhance its profit. At present, performance management is one of the most important management methods for a corporation to increase profit. Find out how a wind power construction company can improve its projects through project performance evaluation in Yi Gao’s whitepaper ‘The ABC Wind Power Station Construction Project Management Performance Study’ [PDF].